Dirk is being described as a force of nature. His passion translates into his every element of any given brief in order to maximize the creative experience of each project. 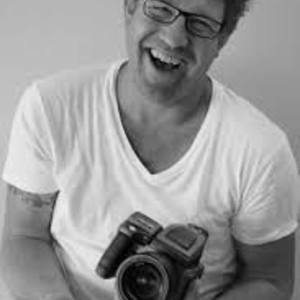 His expertise ranges from 10 years working in the production industry to the technical hands on attitude and in depth knowledge in photography, film, advertising. Extensive travel in Africa cultivated his passion for landscape and natural environments in his early professional work in photography. His ability to capture a narrative inspired his love of experimentation, innovative lighting, movement and technology which gives his images a distinctive atmospheric look & feel. Born in Cape Town, South Africa and raised in Germany Dirk is London based but travels globally for his assignments. This afro European perspective led him to clients from top agencies around the globe. Photographing the human form at its ultimate, his worked is described as eclectic, diverse and full of impact. With a passion of the human form that is portrayed in his personal & commissioned work both in stills and film work. Some of his current personal projects includes a series of the Himba and Samburu tribes which is part of a wider project focusing on iconic tribes throughout Africa and the way these express themselves through movement & dance. His images have been on show at the National Portrait Gallery’14. Dirk’s believe is that a single image can represent everything, it’s the most powerful and most memorable rendering of a moment precisely stopped in it’s time.